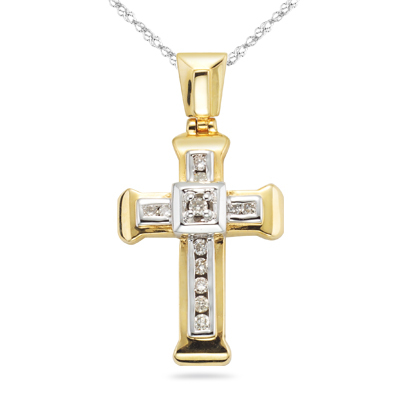 0.13 Cts Diamond Cross Pendant in 14K Two Tone Gold . This Two Tone Cross Diamond Pendant accents thirteen glimmering round diamonds in 14K White and Yellow Gold. 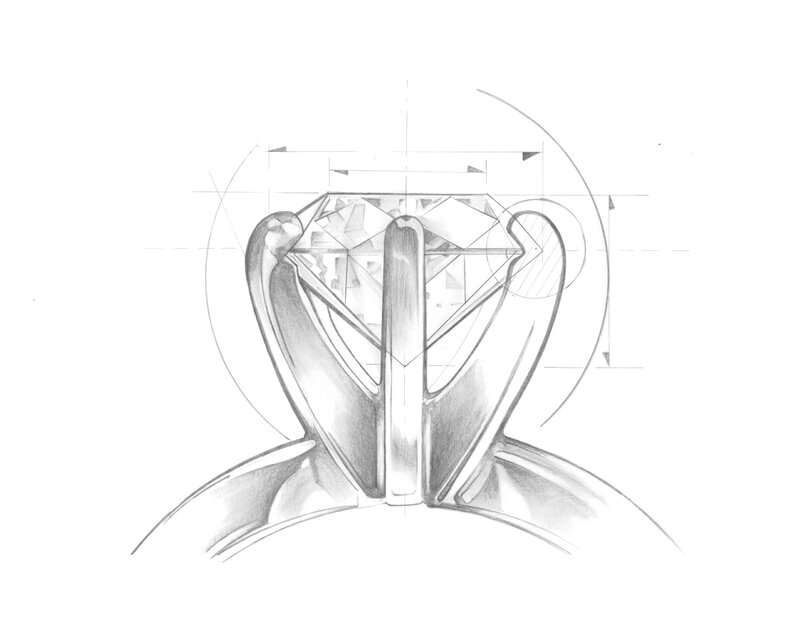 Approximate Diamond Weight: 0.13 Carats. The Total Gold Weight of the Pendant excluding the Chain is 3.45 Grams. The pendant comes finished with an 18 inch 14K White Gold Chain. This simple cross pendant adds modern touch to any outfit.